Jennifer dazzles in daytime sequins, and here’s the secret to wearing some sparkle—dressing it down. 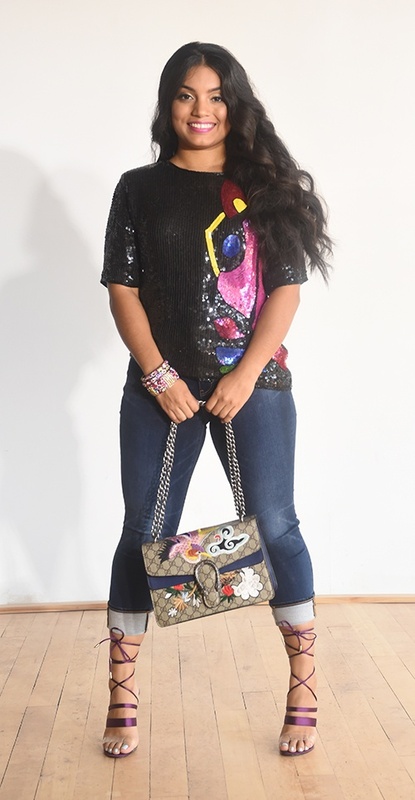 This vintage sequin top from Royal Feelings is a great example of the type that works for a casual, stylish look like this one. At just $3.99, the t-shirt styling worked perfectly with Jennifer’s own jeans that she brought to the photo shoot. But we couldn’t stop there! We took it to the next level with some awesome bright-colored jeweled bangles ($6.99) and some vintage earrings ($2.99). The roman-style lace up high heels gave the look a glamorous, city-chic style that just radiates! The statement bag is one-of-a-kind! It’s unique and gives us a funky counterpoint to everything else you see here. Let the sequins shine this summer by shopping for your own special piece at Goodwill! Luke is sporty and ready for playtime in these cool kids’ clothes. The great thing about shopping for your child at Goodwill is that they can participate in the experience right along with you. Let them find items they’d like to wear for school, playtime, or anytime, and you won't have any trouble getting them dressed and out of the house! 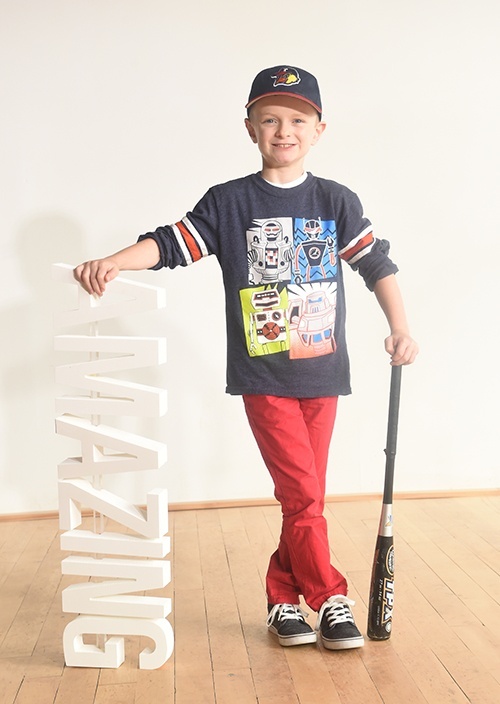 Luke is an avid sports player, so he brought along his own props to the photo shoot. We supplied the graphic t-shirt from 365 Kids ($2.99) and the red jeans from Crazy 8’s ($2.99). His own favorite pair of sneakers rounded out this summer fun look.